Perfect for everyday sipping, dinner parties, and large gatherings, this set of 12 stemmed wine glasses from Libbey works well with all your favorite wines — whether it be red, white, or pink. 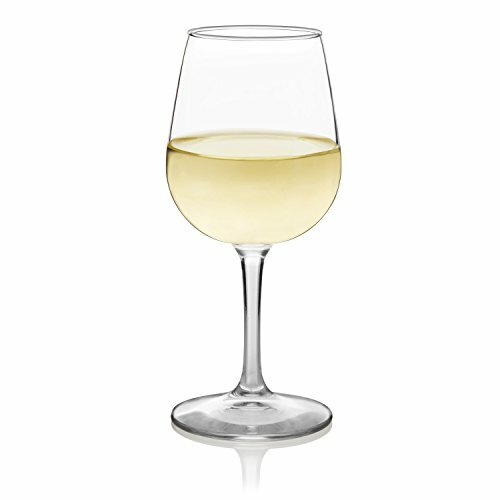 These all-purpose wine glasses feature a classic stemmed base that adds stability and elegantly curved bowl. This set includes twelve 12.75-ounce wine glasses.